Antonio Vitor Martins Monteiro was elected Chairman of the Board of Directors of Millennium bcp in February 2012. He also serves as Chairman of the Corporate Governance Commission of the Board of Directors and Chairman of Ethics and Professional Conduct Commission. Since September 2012, he has been Chairman of Curators Board and of the International Board of Fundacao Millennium bcp. Between 2001 and 2004 and 2006 and 2009, Mr. Monteiro served as Ambassador for Portugal in France and Representative of Portugal to the European Space Agency (ESA). In 2004/2005 he was appointed Foreign Affairs Minister of Portugal, and from 1994 to 2001, Permanent Representative of Portugal to the United Nations. 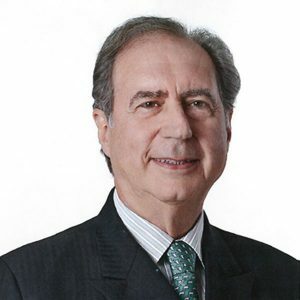 Currently, he serves as non-executive member of the Board of Directors of SOCO International plc, Banco Privado Atlantico-Angola and Banco Sabadell, and is also the Chairman of the Advisory Board of the Gulbenkian Programme Partnerships for Development. Mr. Monteiro graduated in 1967 from Law School of Lisbon University and started his diplomatic career in 1968, serving in countries like Congo (Kinshasa), Italy and Angola. From 1993 to 1996 served as Political Director in the Ministry of Foreign Affairs of Portugal. In 2006 he was appointed Special Representative of the United Nations for elections in Cote d’Ivoire and in 2011, served as Member of UN Secretary Counsel’s Panel for referendum in Sudan.